Lucy, a rather spoiled almost-eleven-year-old, gets a very special birthday present from her grandmother. This gift, a star ruby ring, has been passed down for generations through Lucy’s family. The evening before her birthday, Lucy accidentally discovers the magical secret of the ring: The secret of this Ruby Ring is that two wishes it can bring. Twisting the ring and making her first wish, Lucy finds herself transported to a far away time, that of Ireland in 1885, a time of unrest, evictions, and boycotting. 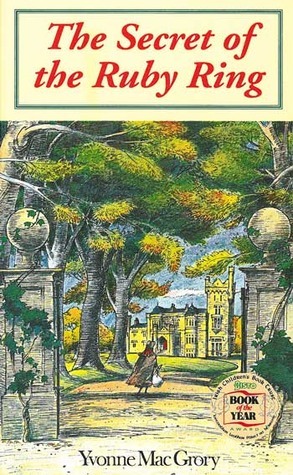 At first, Lucy is intrigued by Langley Castle and its inhabitants, but soon she misses her family and friends. When she decides to use her second wish to go home, Lucy discovers that the ring has disappeared. Can Lucy convince young Robert that she is from another age? Will he help her to retrieve the ruby ring, or will Lucy be trapped forever in a bygone age? Now, before you roll your eyes and say, “time travel again, puhlease,” let me tell you that this book had a profound positive effect on me at age ten. I thought the story was magical (I think I read it twice before I returned it to the library), but I also thought the message applied to me: you’re not put on this earth to be a princess and have the world revolve around you. It’s pretty cool when a book delivers a message so clearly, a ten-year-old girl can take it to heart. And that message is one our Disney princess culture girls need to hear, often and over and over again. Actually, it’s one I need to hear pretty often, too, based on my Downton Abbey envy. One of the greatest things about this book is that when I recently picked it up to read as an adult, I still loved it. The characters were so personable and the plot was perfectly paced between action and insight into Lucy’s character. Though it never hit the best seller list in the U.S., it won Children’s Book of the Year in Ireland in 1994 and really reads like a classic. This would be a great book for young girls all the way to grown ladies to read over Christmas break. I wish I could read it for the first time with you. 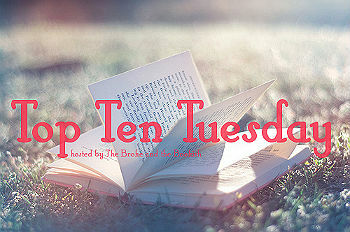 This post is my contribution to the Top Ten Tuesday theme, Winter Reading List, over at the awesome blog, The Broke and the Bookish. Go on over to the B&B blog to see all the other winter reading lists that book lovers are putting together today. And thanks for stopping by Mia The Reader, too! Leave a comment on what your favorite Winter read is. I’m always looking for a great read to add to my TBR list.